I read this article and found it very interesting, thought it might be something for you. 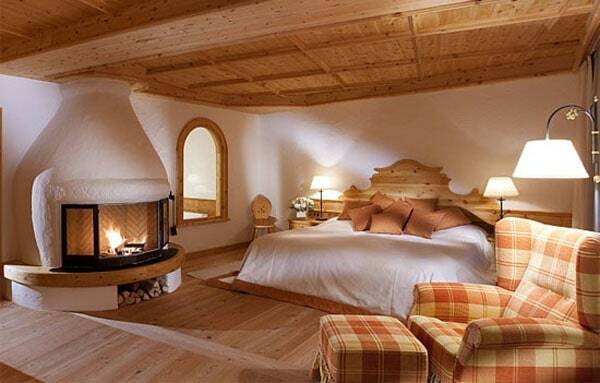 The article is called The Stanglwirt Ski Hotel Is Different…and is located athttp://welove2ski.com/stanglwirt-ski-hotel. You’ll find the Stanglwirt ski hotel just outside the village of Going, on the road to Kitzbuhel, and close to the lifts taking you into the Skiwelt. It’s one of the most famous five-star ski hotels in the Tirol, and without doubt one of the kookiest too. Why? Well, here are five reasons for starters. The Klitschko brothers, Vitali and Wladimir, are a big deal in the boxing world, apparently, and the Stanglwirt ski hotel is where they train. How come an Alpine ski hotel has room for a couple of heavyweight boxers, and a training area the size of a city-centre gym? Simple: because it’s also home to two vast indoor tennis halls, each with three tennis courts. They’ve turned one of the courts into Kamp Klitschko. They’re not actually in the pool. Though the pool is lined with boulders from the Wilder Kaiser – the craggy mountain just north of the Stanglwirt ski hotel. The sharks are in a giant fish tank next to one of the relaxation areas. Currently, the spa is 1000 square metres in size. This summer they’re making the it bigger – five times bigger. The new facilities will fill half a field and cover 6,400 square metres. Many of the horses are white Lipizzaners – the aristocratic Hapsburg breed used in the Spanish Riding School in Vienna. They’re stabled on site, and in winter you can go for a trot in the purpose-built riding hall which is next to the main lounge in the hotel. There are windows between the two, so you can look up from your cup of coffee and see white horses go cantering by. Which is nice. If a hotel has sharks and white horses, why shouldn’t it have cows? And a farm? A lot of the produce is used by the hotel, which is great. Slightly less great is the fact that the cows spend their winter in a barn which is next to the Kuhstallestube – The Cow Barn Restaurant – and there are windows looking straight onto their big white faces. Spending all winter standing around in a barn must be pretty dull even if you’re cow. Sharing that boredom over dinner is more than a little disconcerting. The Stranglwirt is a bio-hotel, and they don’t like plastic. So they don’t use it, unless they have to. Every room has one of these wooden phones – and okay, so maybe they’re a bit gimmicky, but overall this no-plastic rule has created a warm and woody feel to the interiors. It’s rare indeed to walk into a such a vast hotel (175 rooms, plus cowsheds, stables, spa, boutiques, ski shop, private ski school and six different restauratnts) and feel as if the whole structure is breathing. The bedrooms are lovely, by the way – especially the suites which look up towards the sun-drenched crags of the Wilder Kaiser. In fact, all the normal hotely stuff is done well here, and if you make full use of the facilities it adds up to one hell of an experience – with skiing attached. Amazing. For independent travel, fly to Innsbruck, which is served daily from London Gatwick, and twice weekly from Liverpool and Bristol, by easyJet. You can find lots more information about travel to the Wilder Kaiser at wilderkaiser.info and about the Tirol at www.visittirol.co.uk. Visit skiwelt.at/en/ to learn more about the 279km of interconnected pistes of the Skiwelt.